To get a estimate for our one time cleaning service, get in touch with us at: 020 3746 3201 or by completing in our reservation form. Better Cleaning Company picks its cleaners solely based on references from trusted sources. We perform a comprehensive record check for all our staff. They are all diligently coached to operate by using our up-to-date cleaning technology, tools, and Prochem licensed detergents. Our one off cleaners North West London NW provide an outstanding one off house, spring and building contractors cleaning service, and operate in accordance the quality and safety procedures of our professional cleaning company. All of our services are completely covered by insurance. Will the technicians clean the stove? Yes, but when the kitchen stove hasn't been cleaned up for a long time, think of our efficient oven cleanup. Your powerful cleanup will be completed using expert solutions and the final results will definitely be better. 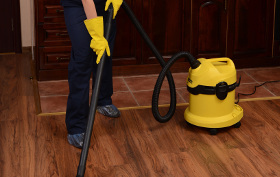 You might actually have special offer when you combine this particular cleaning service with your general cleanup service. In a smaller sized property you will not need heavy appliances lifted, and booking a single cleaner is fine. When you need plenty of work completed very quickly, book several professionals. Remember you have to notify us in advance if cleaners should provide" the solvents and equipment. Our cleaning technicians are dedicated to providing adequate spring cleaning in North West London NW. You can easily use our services in advance of, for the duration of or following Spring time to wash virtually any part of your property in a professional manner. You can choose from our detailed one off cleaning highlights, and get our affordable service as longas you want. If you blend this service with one or two of the many other services which we offer, we may grant you price reduction of up to 15%. We provide easy reservations via phone 020 3746 3201 or via our booking form. You will get a written affirmation within 2 hrs. Our one off cleaning North West London NW company also offers you public holiday and weekend availableness. For urgent cases, you can rely on us coming swiftly too! No downpayment is required for scheduling our service. You usually pay once the service has been carried out. Then why not make an appointment our one off cleaners now!